Sharon at sharon@sanctifiedhope.org or call 817-901-5446. 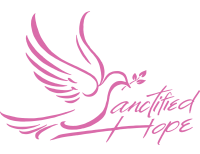 Sanctified Hope is a Christian based nonprofit transitional program which offers Christ-centered training and support. Our mission is to provide an environment in which formerly incarcerated or hurting individuals have the opportunity to experience the unconditional love of Jesus Christ. For the grace of God has appeared that offers salvation to all people. It teaches us to say “No” to ungodliness and worldly passions, and to live self-controlled, upright’ and godly lives in this present age, while we wait for the blessed hope- the appearing of the glory of our great God and Savior, Jesus Christ.